If you accept this invitation, it will cost you $10 (approximately £6.50). In exchange for this miniscule amount, I’m going to give you the greatest gift I could ever give a teenager or family. It’s the key to my “Teen Success Library”… a treasure trove of strategies and shortcuts to help any teenager achieve more and experience more happiness. Are you relying too much on your school? Are you hoping your government has created an up-to-date curriculum that equips you with the knowledge you’re going to needfor a happy life? Are you assuming your teachers have been trained to the required standard and possess the prowess needed to get you ready for the future? Do you overly depend on “the system” to equip you with the skills you’ll need to achieve the success you’re capable of? 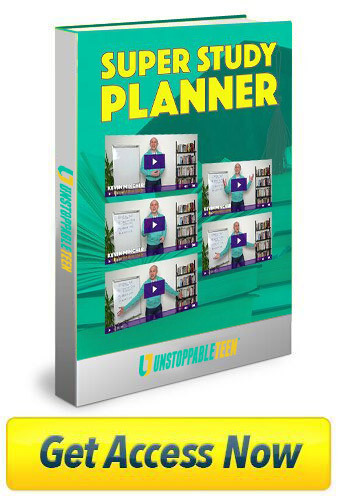 Or do you have your own plan to make sure you’re ready and able to create a LIFE YOU LOVE? If you’re overly dependent on “the system,” don’t feel bad… you’re not alone. Indeed, for the majority of my school years, that’s what I did, too. And it worked… for a while. Duing my early years, when life was simple, depending on “the system” had worked. But as the demands of high school ramped up and I started thinking about my future beyond school, depending on “the system” just didn’t cut it anymore. I built a team of expert coaches and mentors who could help me achieve my goals. A memory expert taught me how to improve my concentration, learn faster and study more effectively so I could achieve higher grades in school. A psychologist taught me how to take control of my thoughts and emotions so I could reduce stress and build my self-confidence. A careers expert taught me how to identify my strengths and make money doing things I enjoy. A communication expert taught me how to improve my relationships and become a leader. A financial expert taught me how to manage my money and become wealthy. A nutritionist taught me which foods and drinks to avoid, and which ones to consume regularly in order to boost my health. A physiologist taught me how to exercise in order increase my energy levels, build muscle and create the body I wanted. I attacked virtually every aspect of my education, relationships, career, physical health, and emotional wellbeing. I learned as much as I could, as quickly as I could. My goal was simple: I wanted to create the best life I was capable of living. I wanted to do it as quickly as possible. 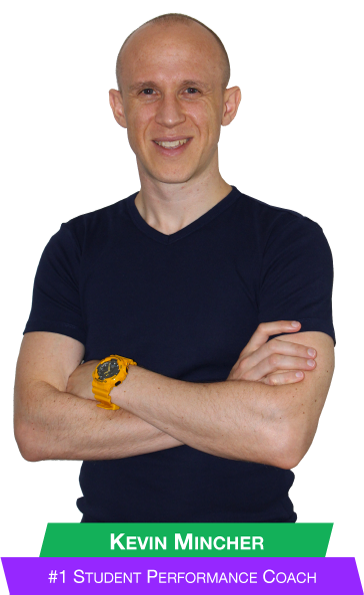 I wanted to see if I could accelerate my progress by following the steps and strategies given to me by the experts. Could I condense decades into days? Was I capable of achieving great things even though I was still only a teenager? I realise this isn’t what most teenagers do, but a movie called Dead Poets Society (starring Robin Williams) had inspired me and I was on a mission to make the most of my life. Okay, maybe “failed horribly” is being a tad harsh… but I didn’t experience instant success. I’m sure I was doing better than I would have done on my own, but I still had lots of questions and needed time for my new habits to produce the results I wanted. So I stuck to the challenge. My grades surged in school. French jumped from E to B. Business Studies transformed from D to A.
I ended up achieving double the national average grades in a high school that was languishing in the bottom 5% of the whole of the country. I put some bad bullying experiences behind me and my friendships went from strength to strength. The ance that invaded my face and drained my confidence was no longer an issue. My self-belief and happiness were at an all-time high. I had momentum and my life was on a growth path that many never expected. Person of the Year” award. Worked in dozens of schools and shared my strategies with thousands of students. Here’s my disclaimer: I obviously can’t promise you will get these results. Your results will vary due to innumerable factors. I don’t like to brag about my life experiences and you’ll never see a selfie of me standing in front of a Ferrari. But again, I’ve done well despite the fact I never came from a wealthy family and I experienced many setbacks along the way. My greatest joy comes from my students’ achievements. At last count more than 300,000 teenagers have completed my Unstoppable Teen programmes. It really is incredibly what we can do with our lives when we get expert help and do our best each day. Thankfully, the success secrets I learned in my teenage years, not only enabled me to grow, they also empower anyone who’s prepared to give them a go. In other words, this stuff works! Until very recently, these life-coaching videos, podcasts, eBooks, checklists, guides and articles were only available to schools, colleges and universities. They were locked in our “vault”, and unless you were a teacher, you couldn’t get your hands on them. But recently, we made a bold (and some say CRAZY) move at UnstoppableTeen.com. …and made them available to teenagers and their parents for the first time ever. We called it “Unstoppable Teen Membership” (or UTM for short), because that’s exactly what we are: A members-only club where we help teenagers deal with the issues they face and enable them to achieve more of their incredible potential. As a “UT Member” you get 24/7 access to everything. #TheBestYearEver – These bi-monthly coaching videos that show you how to set goals, turn your dreams into reality, and have more fun in the process! The “What You Should Be Learning In School!” life lessons give you 5 techniques for improving your performance and outcomes. Top 10 things employers look for when recruiting young people is a guide to help you prepare for future jobs and careers. The 180-page No Limits eBook gives you a 4-step formula for unleashing your motivation and achieving more than ever before. …and that’s just to start raising your aspirations and get your motivational juices flowing! 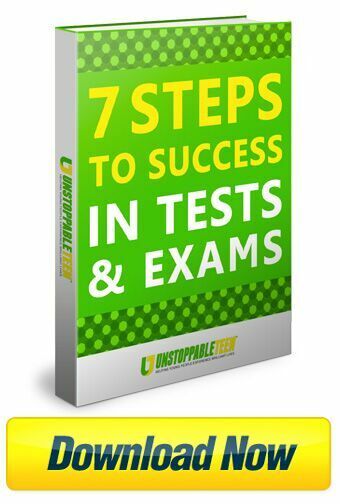 7 steps to success in tests and exams. The 5-Star Performance Plan shows you how to quickly accelerate your progress and improve your grades. The 7 Deadly Sins reveals the most common mistakes students make when preparing for tests, and how to avoid falling into the same traps. Get The Grades You Want provides effective study skills proven to help students succeed in school. BELIEVE: 7 ways to have the confidence you want, when you want it. And this is just a sample of waits waiting for you! These are without doubt the ULTIMATE SHORTCUTS for dealing with common teenage problems and achieving more in your youth. By joining us today, you can have immediate access to these powerful guides and coaching videos. We are constantly developing new ways to help young people. When we figure out something that works, we put it into a new resource (e.g. a video, a guide, a checklist, etc.) that all our members can use. At least once every quarter you’ll receive BRAND NEW videos when we share the latest research and identify what’s proving to make a positive difference in people’s lives around the world. It’s like having direct access to the top researchers and human performance analysts on the planet. In the past, these insights were only revealed in my seminars and one-to-one coaching sessions, but as part of our commitment to share best practices, I’ve decided to share it all with UT Members as well. As a UT Member you’ll receive weekly messages from us that identify what’s hot and WORKING right now. Not only will you get easy-to-use ideas for improving your own life, you’ll also discover how others are overcoming their problems and achieving great things. It’s inspirational stuff that keeps you juiced and on track throughout the year! You’ll also get access to the recordings of my conversations with peak performers. …pretty much anyone who’s achieved something special and is willing to share how they did it. It’s like eavesdropping on their innermost thoughts and private conversations. It’s incredibly insightful stuff that can help you avoid mistakes, save time, and speed up your own success. You’ll also have a chance to ask me anything… literally ANYTHING… if you want my personal help and advice. UT Membership is all about showing teenagers what works, and getting help with what isn’t working. They want a BRILLIANT life. UT Membership isn’t for everyone. It’s certainly NOT for those who are happy to play the victim, like to give excuses, and want to blame someone else when things go wrong. We are here for those teenagers who are committed to experiencing a fantastic future and are willing to do something to make it happen. If that’s you, we’d love to welcome you to our community. 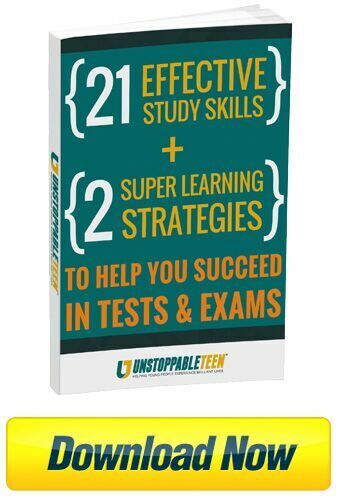 The “Teen Success Library” (all our videos, eBooks and guides… literally every resource we use to help teenagers achieve more). New coaching videos every quarter (so you’re always up to date and have the latest techniques proven to improve lives). 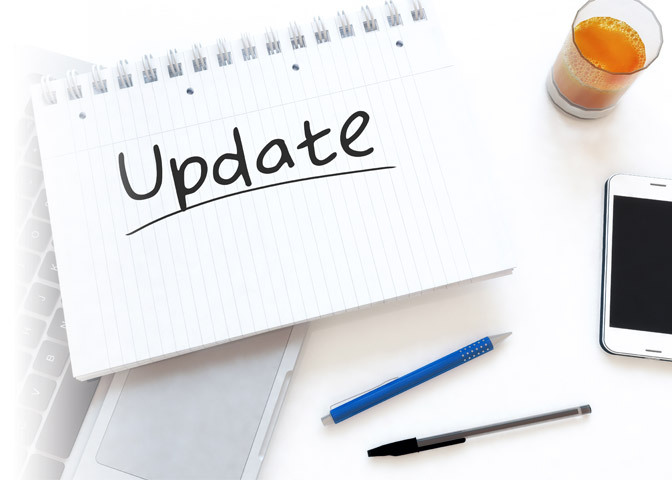 Weekly insights and updates (so you receive continuous help and support throughout the year). 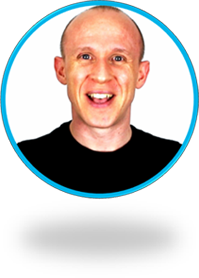 Regular interviews with experts and high achievers (so you can ask questions and get the inside scoop directly from successful people). This really is the ULTIMATE life hack for teenagers! I may be crazy… but I’m not stupid! As you’ve probably already guessed, I’m not getting rich by giving away my best stuff for $10. My sincere hope is that you’ll love what you get in the first month and you’ll choose to stay. If not, that’s okay, too. But if you do love it (and I think you will), you’ll be automatically renewed at our member rate of just $20 per month. Which means you’ll invest less than 67 cents per day (roughly 55 pence) in your own growth and development. …especially when compared to the amount some people spend on their phone, clothes, shoes, gaming, drinks, snacks and other stuff. If you aren’t able to learn something in the first month that makes a positive difference to your life and is worth ten times your monthly subscription, I’ll insist you bow out and look for help somewhere else. That’s how confident I am about what you’re about to receive.